This captivating audio book brings together devotional insight, scientific thought, and magnificent images of the universe. The psalmist sang that the “heavens declare the glory of God” (19:1). 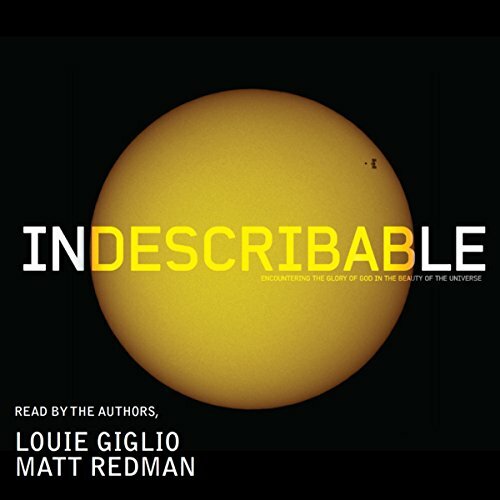 Throughout this stunning audio, Louie Giglio and Matt Redman join in that very same song - noting just how powerfully the wonders of the cosmos can speak to us of the majesty and mercy of our Maker. I absolutely loved listening to this. The analogies used to conceptualise a form of understanding is great, i.e. examples to try and give us a method of size and space. wow... thanks!! This was SO good...it stays interesting the entire way through! Recommended to all who want to see God in His majesty! An amazing example of how GREAT our GOD is. Nothing is inpossible for HE who created the heavens and earth. Highly recommended.